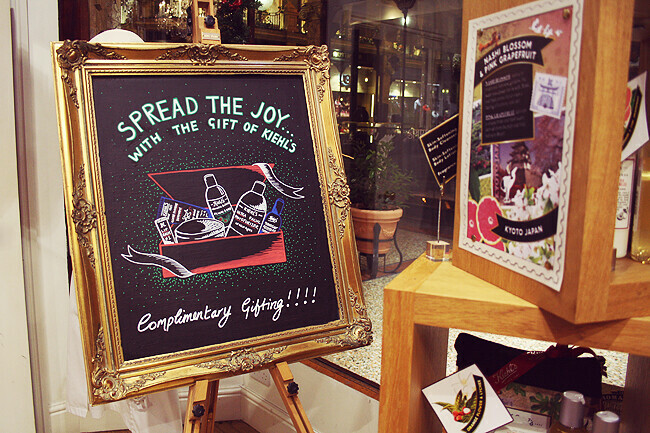 Last month i was invited down to the Kiehl's store in the Victoria Quarter to have a look at their products and learn about the company. I must admit I've not really heard a lot about Kiehl's and haven't tried any products, so with an mind i was looking forward to hearing what the very lovely and helpful staff had to say. The shop is floor to full of products on tidy shelves and looking around there were lots of and medicine bottles dotted around the place, which plays to the founders. We were to the history of Kiehl's, and were told that it's brand retailer that specializes in making premium skin, hair, and body care products. Founded as a single pharmacy in New York City's style East Village in 1851 it now has 30 stores world wide. In 1921 a pharmacologist purchased the store and was involved in the development of many Kiehl’s products that are still popular today, including Blue Astringent Herbal Lotion and Creme de Corps. Keeping with the history, all the packaging is designed around old medicine labels and gives it a simple look. 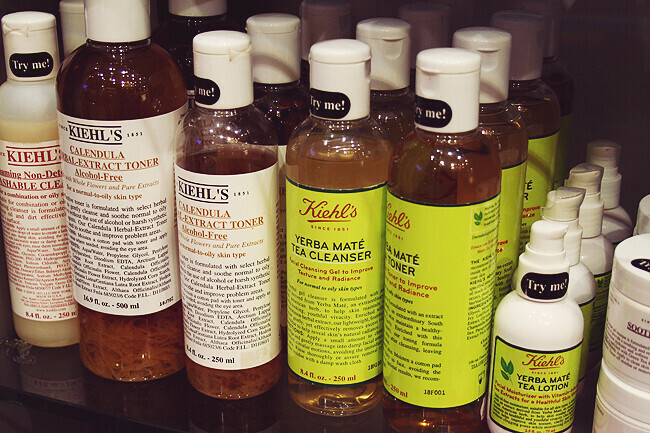 Kiehl's offer a complementary sample service, so if you go in to store and see something you like you can take a sample to try before you buy. They also offer skin consultancy where they can tell what you skin is lacking or too much off, it literally takes seconds but it's so helpful. 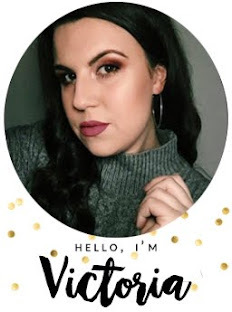 The best thing is you can make your own beauty boxes tailored to you, so instead of buying a box full of products and knowing you'll only use one product, you can pick the items you want and then have it gift wrapped for you, totally free of charge which i think is perfect for Christmas. I've got some samples to try so i'll be back with another post in a few weeks once I've tried the products. But if you can recommend anything i should be trying then please let me know. Lovely pictures, the ultra face or facial cream is a great moisturiser for combination skin. I use the Ultra Facial Oil-free line! I love those handwritten labels, perfect for adding a more personal touch! This brand is new to me but oh my.. so so pretty, want everything! 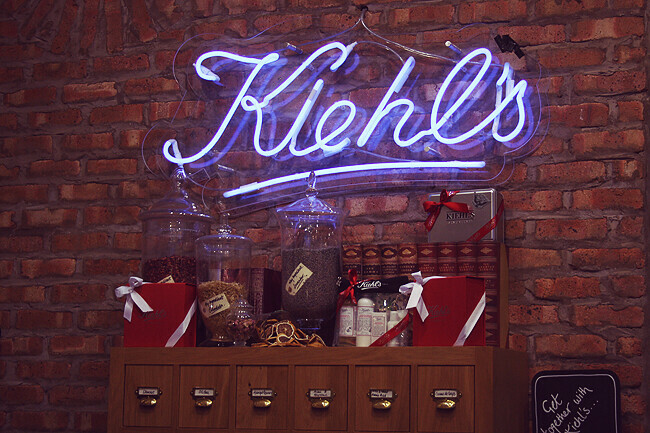 I've heard such good things about Kiehls. I'd love to try some of their products, love the look of the shop too.